Following up on our last entry, the Cat Owner's Handbook is essential reading for any new or existing cat owners. 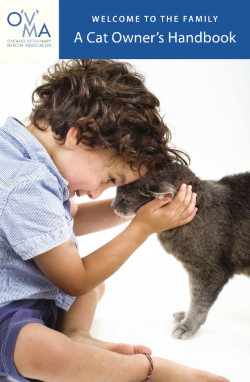 The OVMA, the largest veterinary association in Canada, aims to help educate new and would-be pet owners on how to help your cat live a long, happy and healthy life. Select the cover to download the Cat Owner's Handbook.